Enter Hannah Babel, quixotic small town bookseller: the second Jew - and the most vivid person - Tom has ever met. He dares to believe they could make each other happy. There is a saying in Hungary: You know you’re a Hungarian when you can’t say anything positive about politics. I live with a Hungarian and this statement is totally accurate. However what it doesn’t say, and what you need to know as you begin to ponder the wonderful character of Hannah Babel in The Bookshop of the Broken Hearted, is that Hungarians understand and mock politics all the time because they have been done over by so many other nations. After World War II and the Hungarian uprising, Hannah Babel arrives in Australia as a grieving mother and a widow twice over. She moves to a small town in Victoria and meets mild, decent and devoted farmer Tom Hope. Hope, of course, has had his fair share of disappointments and grief, but he is genuinely unable to comprehend the forces that have governed Babel’s life. It’s simply unfathomable for an Australian farmer to understand the depths of fear in a Hungarian Jewish woman in the 1960s. It is clear though that the author, Robert Hillman, does. He has written a precious story here. I read it one sitting and was enthralled by Hillman’s ability to conjure up all that is country Victoria (the scenery, the gossip and the neighbours) alongside all that is Hungarian (the food, the politics, the heartbreak) and I fell utterly in love with his two main characters. They are my type of people. Surely they have been created to represent some sort of truth about our country. 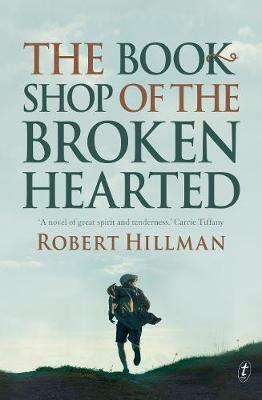 Certainly, I found that the novel beautifully represents Hillman’s inherent understanding of Australia and its people. This is a novel of desolation, and it is, ultimately, a love story. Frankly, for me, it doesn’t get better.